Standing in front of the organic coffee display at my local co-op, considering the choice of Organic Mind, Body, and Soul or Organic Love Buzz, I was reminded that my favorite self-service food store also offered these coffees. My favorite store of all time is one that assured me that goodness prevails in the world and that we can trust each other more than we think. 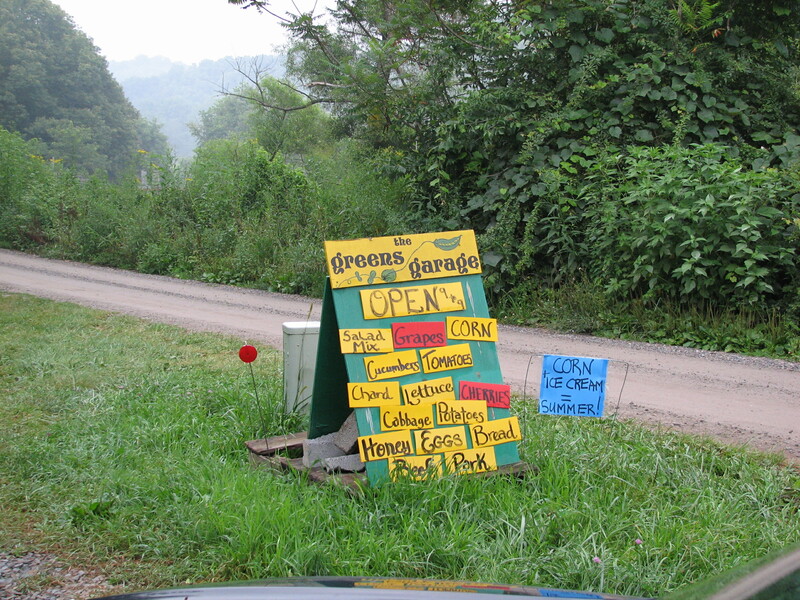 This magical place is the Greens Garage, located 1 mile down a dirt road in Floyd, Virginia, in the heart of the Blue Ridge Mountains. It was my privilege to shop there for several years, getting to know the owner, Tenley Weaver, a bit when I would occasionally see her there. I moved from Virginia 4 1/2 years ago now, so I search online every now and then for signs that the Greens Garage is still there. My last visit was around 2 years ago. Checking today, I see a January 2012 blog post from another fan, Jes of the food blog, Eating Appalachia. Check out Jes’s blog for some great pictures of the inside of the Greens Garage – and the recipe for spaghetti squash with Brazil nut pesto! Tenley Weaver’s business is Good Food, Good People, which says it all really. She brings local food to her region, coordinating the sale and distribution from her own farm as well as from the farms of many of her neighbors. 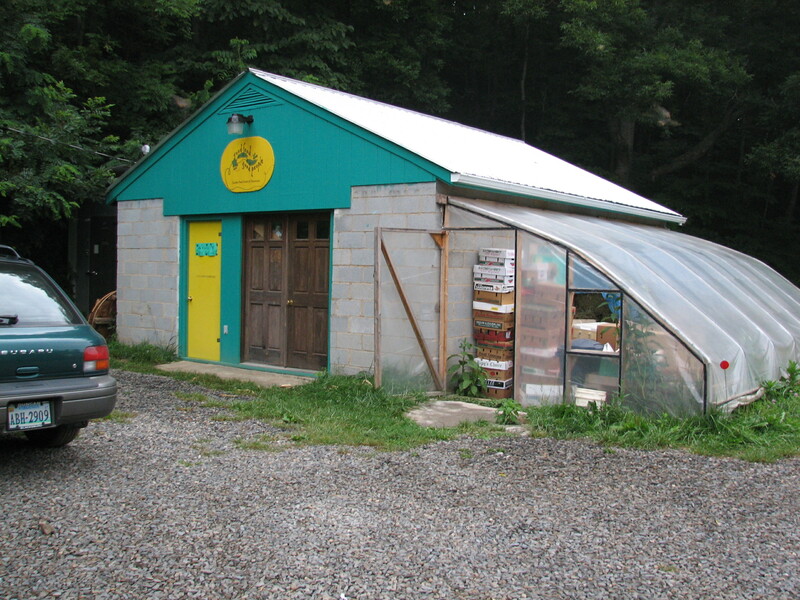 Greens Garage is a kind of community farm store that offers much more than the common vegetable stand -like organic coffee, grass-fed beef, dairy products, and other staples for the organic household (tahini, anyone?). What sets this place apart is that it is run on the honor system. 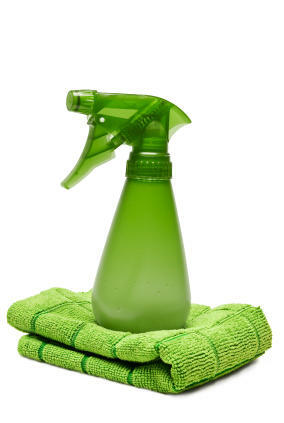 No staff is there during the day, apart from deliveries by Tenley and other miscellaneous operations. The shopper selects whatever he or she wants to buy, weighs vegetables on a scale, and then tallies the amount due on a receipt pad, with the aid of a calculator and a sales tax chart. Cash is requisite, and exact change is desirable. There is something very satisfying about this process! Trust is obvious at the Greens Garage. But trust also drives my local co-op, the Syracuse Real Food Co-op. Since 1972, it has been serving my neighborhood. Community members can join the cooperative, and their trust (and faith) in the enterprise is what has kept it going for 40 years. These communities of trust are important. As someone concerned with community planning and neighborhood revitalization, I would like to find a way to capture the magic of these places and spread it around to other communities where trust left a long time ago. The example of the Greens Garage tells me that what I might have once called impossible perhaps isn’t so impossible after all. The rising stature of statisticians, who can earn $125,000 at top companies in their first year after getting a doctorate, is a byproduct of the recent explosion of digital data. A class at Columbia University recently mapped trip data for 10,000 taxi rides in Manhattan in a 24 hour period. The result is what they call a ‘breathing’ map of Manhattan. The video is set to music by Rob Viola.